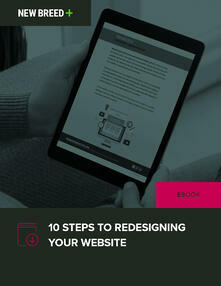 Redesigning your website is a big undertaking, but one that many companies face. Your website has evolved from being a static brochure to one of your best salespeople. Is my website helping me meet my marketing and sales goals? Is my website providing the information my buyer personas are looking for? Does my website provide opportunities to convert? Am I incorporating personalized content into my website? This 10-step guide will help you address these questions and give you the knowledge necessary to redesign a beautiful and optimized website. We hope you enjoy this ebook and find it to be a useful methodology to grow your business! To download your ebook, fill out the form.